Do you frequently find yourself dealing with an aching jaw or missing out on life because of migraine headaches? If so, you may be suffering from a temporomandibular joint disorder, or TMD. 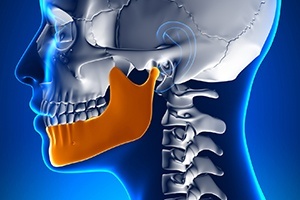 The temporomandibular joint (TMJ) refers to the set of hinges on your lower jaw that connects it to your head. When this joint becomes strained or injured, it can cause a wide variety of both oral and overall pain. Thankfully, you can get relief from this kind of issue right here at Conklin & Ward Dental Group, so don’t hesitate to contact us today for an appointment. 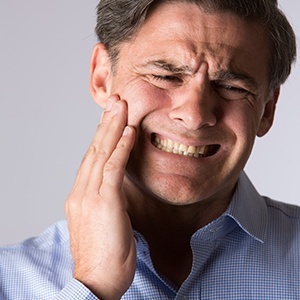 A TMD can be caused by a wide variety of factors, but the most common ones tend to be stress, injury, arthritis, and a misalignment of the bite. When the teeth don’t quite come together correctly, this causes the jaw joint and muscles to make small adjustments every time you open and close your mouth, which actually puts a lot of strain on them. 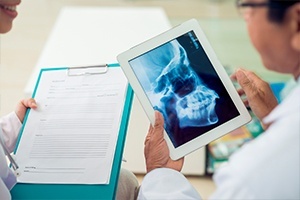 When you come to see us exhibiting the symptoms of TMD, we’ll use a variety of scans to determine the root cause of your problem so we can recommend the perfect treatment. As we mentioned above, sometimes a TMD can be caused by a misalignment of the bite. In these cases, often the full force of the bite is exerted on just a small number of teeth, which can be quite painful. With a quick scan, we’ll be able to find these high-pressure spots, and then we’ll gently reshape a few teeth so they can come together smoothly and painlessly. We usually only need to remove a few millimeters of enamel, which won’t affect the appearance of your smile at all. An occlusal splint is a type of orthopedic mouthpiece we can use to alleviate TMD-related discomfort. 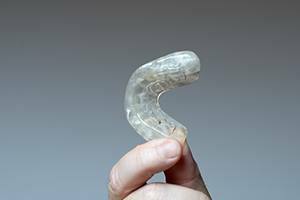 Each one is custom-made for every patient, and they work by slightly repositioning the jaw so the muscles and joint are in a more natural and relaxed orientation. This will allow them to heal and help any pain slowly drift away. After a few months of use (only wearing it to bed), most patients are able to stop wearing the splint, but some may need to keep using it in order to maintain relief. One of the most common symptoms of TMD is unconscious teeth grinding, which is brought on by small spasms in the jaw muscles as they are trying to adjust themselves. With a few strategic BOTOX injections, we can make these muscles stop moving, which will help eliminate any associated pain. This treatment won’t restrict your jaw’s movement at all, and thanks to our special training, you can trust that the results will last for months at a time.